Utilizing top scientists in the wetland classification and mapping field, Remote Sensing of Wetlands: Applications and Advances covers the rapidly changing landscape of wetlands and describes the latest advances in remote sensing that have taken place over the past 30 years for use in mapping wetlands. Factoring in the impact of climate change, as well as a growing demand on wetlands for agriculture, aquaculture, forestry, and development, this text considers the challenges that wetlands pose for remote sensing and provides a thorough introduction on the use of remotely sensed data for wetland detection. 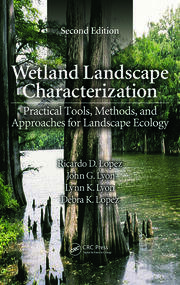 Taking advantage of the experiences of more than 50 contributing authors, the book describes a variety of techniques for mapping and classifying wetlands in a multitude of environments ranging from tropical to arctic wetlands including coral reefs and submerged aquatic vegetation. The authors discuss the advantages and disadvantages of using different remote sensing techniques for wetland detection under varied conditions and circumstances. They also analyze commonly available data, reveal cost-effective methods, and offer useful insights into future trends. Remote Sensing of Wetlands: Applications and Advances uses a variety of contributors, touching on pertinent topics, to help you gain a greater understanding of the latest technologies, strengths, and limitations surrounding this emerging field. Ralph W. Tiner recently retired from the U.S. Fish and Wildlife Service (FWS) where he served as regional wetland coordinator for the Northeast Region, Hadley, Massachusetts. He has been mapping wetlands since 1970, first as a graduate student at the University of Connecticut, then with the State of South Carolina, and finally as part of the FWS’s National Wetlands Inventory Program. Through his participation on national committees, he has helped standardize on-the-ground wetland delineation practices for implementing federal wetland regulations in the United States. He is editor of the Wetland Science and Practice journal and the author of over 200 publications. Megan W. Lang is a research associate professor at the Department of Geographical Sciences, University of Maryland, College Park, Maryland. Her career in wetland sciences began in 1996, as an undergraduate student researching succession in abandoned rice fields while at the College of Charleston, South Carolina. She leads the U.S. Department of Agriculture Mid-Atlantic Wetland Conservation Effects Assessment Project, serves as an associate editor for the journal Wetlands, and has published over 40 scientific articles and book chapters. She has also helped to develop wetland monitoring strategies for the state of Maryland and the United States. Victor V. Klemas is professor emeritus at the School of Marine Science and Policy, University of Delaware, Newark, Delaware. Since 1976, he has directed the university’s Center for Remote Sensing, where he pioneered the application of a wide range of remote sensing techniques in the study of wetland and estuarine ecosystems in the United States and overseas. Dr. Klemas has published his research results in 120 scientific journal articles and coauthored several books. He has also served on six scientific committees of the National Research Council (National Academy of Science) and various government advisory panels. "… an important reference for operational wetlands mappers. Over the years, I have been told you should be using this technology instead of the one we were using at the time. A book like this would have provided an overview of the technology and more importantly the names of the experts." 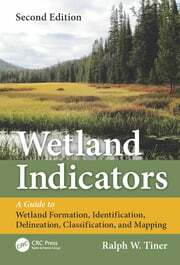 [this book] encompasses information essential to anyone engaged in either identifying and/or understanding wetlands using remote imagery. It brings together in one place a critical examination of the strengths and shortcomings of the many types of imagery available today. It explores the opportunity to combine various types of remote imagery to describe and analyze wetlands. 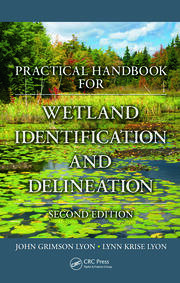 It includes extensive case studies of the application of remote sensing imagery by wetland type." 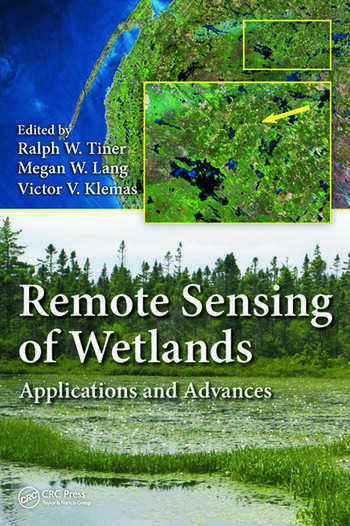 "Remote Sensing of Wetlands – Applications and Advances is a very suitable primer for the person new to this domain, but should be required as a definitive cornerstone for the development of academic programs dealing with wetland mapping. The depth and breadth of coverage achieved by the editors make this volume indispensable and essential to any scholarly effort aimed at applying remote sensing to the mapping, study, understanding and preservation of these complex, valuable and endangered ecosystems."